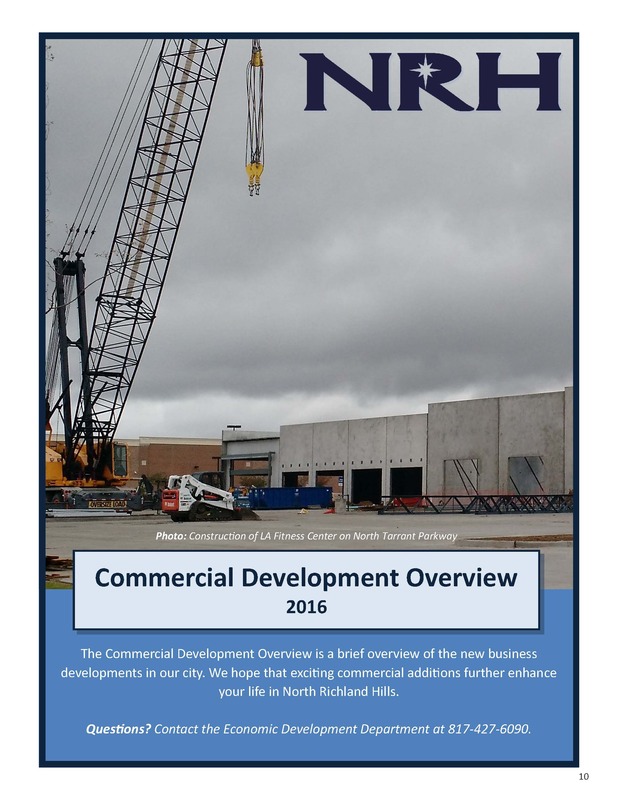 North Richland Hills Economic Development is excited to publish the newest edition of our City-Wide Development Report. In this report, you'll find details on current and upcoming projects in NRH including transportation developments, commercial additions, and the growth of our residential community. If you have any further questions about the topics covered in this report or other areas of development in our city, please contact us by phone at 817-427-6090 or email our Economic Development Specialist, Jennifer Stephens, at jstephens@nrhtx.com. Download the 2016 Development Report (9 MB).